The day of the Royal Wedding is finally here, which means at this very moment Meghan Markle is prepping and preening in the luxurious setting of Cliveden House, a 5 star Country House Hotel about half an hour’s drive from Windsor Castle. 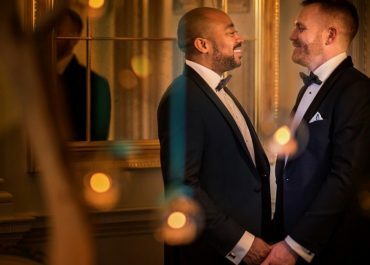 So, when one of our super talented photographers, Mark Seymour, shared this beautifully classic and traditional Cliveden House wedding with us yesterday afternoon, we knew we had to get it on the blog straight away. With about two hours to go until the ceremony, indulge your Royal Wedding obsession and take a peek at Robyn and Peter’s big day. Even the bouquet is reminiscent of Princess Diana’s! Plus, Mark sat down with Robyn to find out everything about this gorgeous couple’s love story, from the day they met to the moment they tied the knot. Robyn, how did you meet Pete? Mark Seymour is an award winning wedding photographer and documentary trainer, working throughout the UK and worldwide. If you’re searching for the perfect photographer, who can capture natural, relaxed and storytelling images of your big day, then head over to markseymourphotography.co.uk to find out more about one of the UK’s most celebrated documentary wedding photographers.